Following its launch in 2014, Heal’s Modern Craft Market will return to the Tottenham Court Road store running from 2 to 15 February 2015. Celebrating the best in contemporary crafts, the event will showcase eclectic collectibles and host live workshops using new materials and processes. As part of the Modern Craft Market, a group of six well known furniture designers will take over the store’s front window for the week, for the Great Heal’s Bodging Race. 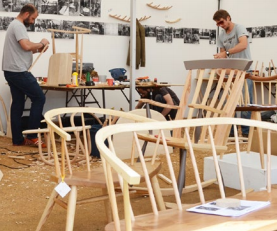 Bodging is a hands-on craft that utilises unseasoned wood and traditional Windsor chair making techniques to create unique, one-off designs. Over the week, the bodgers will race to create several pieces and one of them (chosen by press and customers) will go into production exclusively for sale at Heal’s. 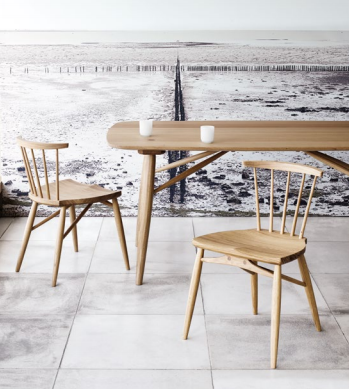 Also present will be Out of the Dark, the charitable social enterprise that creates uniquely designed and beautifully crafted furniture. They will be elaborating and developing the pieces from the bodging race and creating their own pieces too. London, W1T 7LQ , 2-15 February 2015.